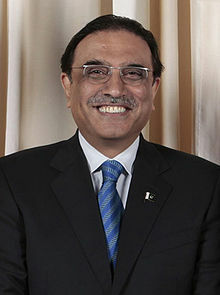 President Asif Ali Zardari is due to arrive in Lahore soon after he quits the Presidency for the new president, Mamnoon Hussain. Sources in the Pakistan People’s Party (PPP) said Zardari would reach Lahore on September 8 or 9. The PPP leadership expects that Zardari will make Lahore his permanent abode in order to revive the PPP in Punjab as the party is almost non-existent in the province post-May 11 general elections. Confirming the president’s arrival in Lahore, former minister and PPP’s provincial General Secretary Tanvir Ashraf Kaira said Zardari would spend most of his time in Punjab in the coming days and resume the PPP’s political activity in the province. Political observers and senior politicians think that Zardari’s presence in the provincial capital could improve the party’s future prospects in the political arena. Senator Kamil Ali Agha said, “The president can manage Sindh with occasional visits. However, he would have to work hard and spend time in the province to revive the PPP in Punjab,” adding that the PPP was strong enough to stage a comeback any time. Previously, it was uncertain whether Asif would stay in Pakistan after quitting the Presidency or leave the country to avoid any litigation regarding the Swiss cases. Opposition leader Khursheed Shah and other sources have now said that the president would stay back in Pakistan and indulge in active politics. However, it is reported that the president would initially shuttle in and out of the country after quitting the Presidency, waiting for the present judicial leadership to exit. Meanwhile, it is reported that the Supreme Court has barred the president from leaving the country after the expiry of his term.